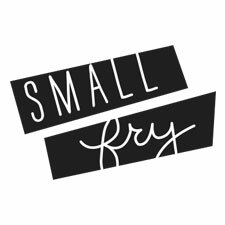 Small Fry + Little Mr.
One of our favorite parts of running Small Fry is the awesome design collaborations we’ve been able to take part in with companies we admire! Walls by Mur is such an awesome company (run by two mamas! ), we couldn’t be more flattered to work with them! They create the most amazing removable adhesive wall designs that look like works of art. Here is our Small Fry design for Mur, we hope you love it! Small Fry Dots in black and gray! Thanks for having us, Mur!